If any Perth pub is good for a laugh, it's this one. 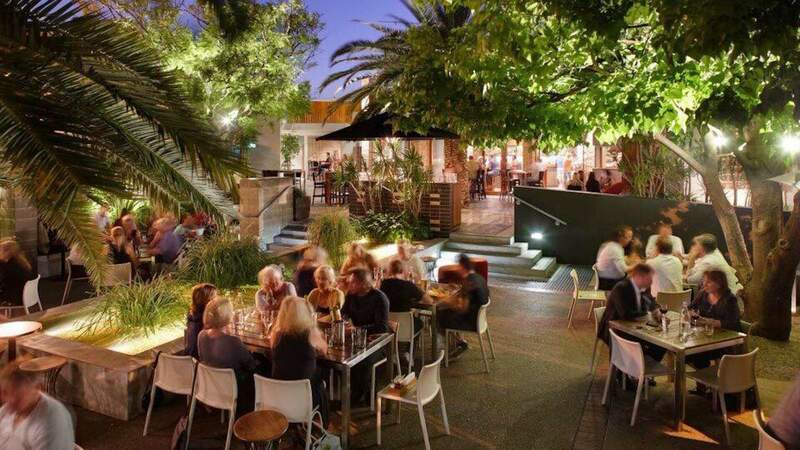 Once a fairly tired old pub, the Brisbane Hotel is a vibrant hub in the hip-and-happening centre of Perth. Since opening in 1898, the venue has gone through two refits and now it seems to have finally hit its stride. The couch-filled bar area exudes a relaxed and welcoming vibe, while the beer garden — the real hero of the place — features lush palm trees and assorted throw cushions giving it an unabashed bohemian feel. The menu is packed to the brim with elevated pub classics — think pappardelle with veal ragu ($28) and pork belly with burnt butter ($30). If it's simplicity you seek, settle in with a steak sandwich ($26) and a cold one for a long afternoon in the sun. Speaking of beer, there are a few surprising rarities on tap for the craft beer enthusiasts among us, as well as an extensive wine and spirits list. If you like to laugh while you drink, Lazy Susan's Comedy Den upstairs hosts live comedy on Tuesdays, Fridays and Saturdays for an added dose of merriment.